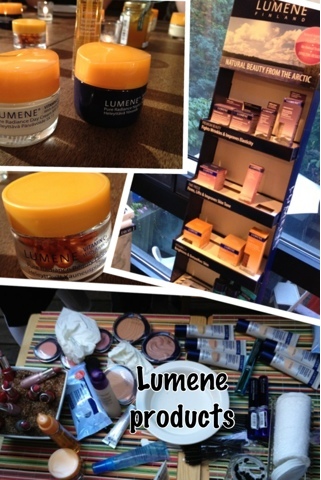 A Finnish skincare brand that I am currently loving is Lumene. I have been incorporating their Vitamin C+ products in my daily routine this past month and couldn't be happier. This line contains Arctic Cloudberry which is a rare berry that is grown in a very short amount of time. First their Bright Skin Radiance Nectar is a liquid based gel that you can use alone, or before moisturizing. It's lightly scented and keeps my skin looking smooth and glowing. It's formulated to also exfoliate your skin. The other Vitamin C+ product I received for review is the Pure Radiance Beauty Drops. There are 28 capsules in the jar- one for each day- and this is my favorite! It moisturizes and also leaves my skin feeling absolutely matte smooth. These are so easy to bring when traveling or just on the go. Definitely have seen an improvement in my complexion after incorporating these products in my routine.